Targeting consumers by interest followed by location is the most acceptable way for mobile advertising. The study, led by Deborah Bothun, US advisory entertainment, media and communications leader at PwC, gathered and analyzed data on customer attitudes and behaviors in the currently changing media and technology landscape. A total of 3,800 people were surveyed and responded in The United States, United Kingdom, China and Brazil regarding their preferences in mobile advertising. Respondents in Brazil and China had similar consumer preferences, while the UK and the US appear to have similar attitudes and behaviors. What’s good or bad for US consumers is good or bad for British ones. However, some preferences regarding mobile advertising appear to supersede cultural differences, including the most and least acceptable ways of targeting consumers. The least accepted way of targeting consumers is by tracking texts, phone calls or emails. These three routes run the highest risk of damaging brand attitudes. The researchers found that China and Brazil have more fully mobile activities into their daily lives, compared to the UK and US. While Brazilians were found to be the most actively engaged in overall mobile activity, Chinese users are more likely to buy things from a website as well as stream/download TV shows than those of other countries. Chinese and Brazilian respondents are more willing than their US-UK counterparts to share personal data for free apps or less advertising. If the ads contain content that is personally relevant, Brazilian and Chinese users are more likely to click on them, suggesting a greater interest and more receptivity to mobile advertising. Brazilian and Chinese mobile users have similar preferences. The greatest difference between UK-US users and China-Brazil ones is the importance of personalizing an advert with the individual’s name. 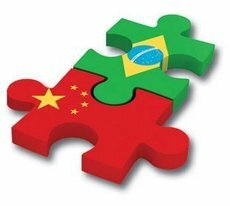 Brazilian and Chinese users are strongly influenced by personalization.